The interaction between the public, the artists and the institutions supporting the arts contributes toward the creation of a consolidated region for the fine arts in the Bodensee area, thereby uniting, as well dividing, borders are communicated via the process of creating artistic work. Not only are the artists and the audience participating in this procedure, but the institutions promoting cultural life, on a national as well as an international scale, also determine the exchange among artists and allow broad access to these forums. The high visibility of the fine arts around the lake is remarkable. In the entire region, one can find numerous sculptures, art studios open to the public, galleries and art museums. The painter Michael Prax, inspired by the Bodensee, presents his art work in his studio in Ermatingen. 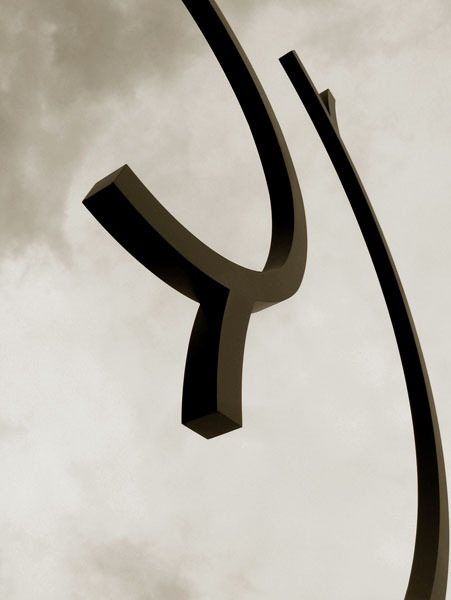 Peter Lenk’s sculptures, which are narrating stories and tales of the region, can be found in many cities around the lake. 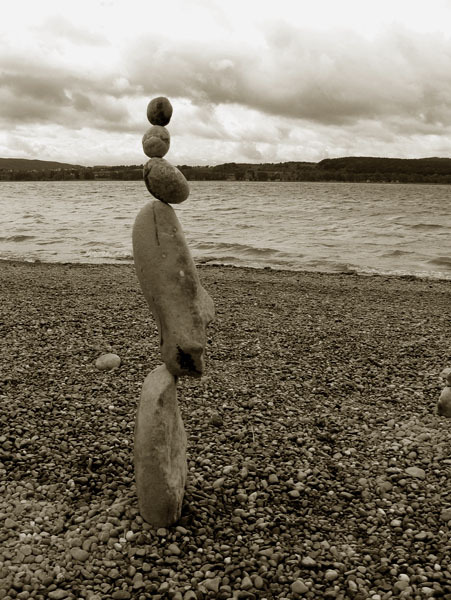 On the shores of the lake, artists such as Volker Paul and Sepp Boegle come to create stonebalance-sculptures. Max Bottini and Johannes Doerflinger broach the issue of the border itself in their pieces called grenzenlosfeiern (play on the double meaning of Grenzen, celebrating without borders and boundless or endless celebrating) and the sculpture park Kunstgrenze (artistic borderline). In short, for many local artists, the Bodensee as a topos is irreplaceable. Alongside this, the art-didactical features of the instructional path Kunstroute Untersee provide an insight into the history of the fine arts which have been produced around the lake throughout the decades. In addition, there are institutions which promote and support diverse protagonists of the art scene and are creating a stage for the multi-facetted fine arts landscape such as the cultural commission as part of the Internationale Bodenseekonferenz (IBK), the trade show for the fine arts in Dornbirn called art-Bodensee, local artists associations and the Kunstverein Konstanz (Fine Arts Society of Constance). However, the fine arts in the Bodensee region, as well as the ambitions of the artists, are not restricted to topics such as the lake or the border and, consequently, the work by the artists, as well as the sponsorship for them, are becoming increasingly interdisciplinary. Above all, many regional artists are trying to make their work accessible internationally. This is what might indeed make the Bodensee region a rather unique, transnational area for the fine arts. Artistic practice is thus becoming an instrument of communication in every day life, and the interchange between the artists and the institutions can also provoke networks to coalesce even stronger in other fields of communicative practice in the Bodensee region.